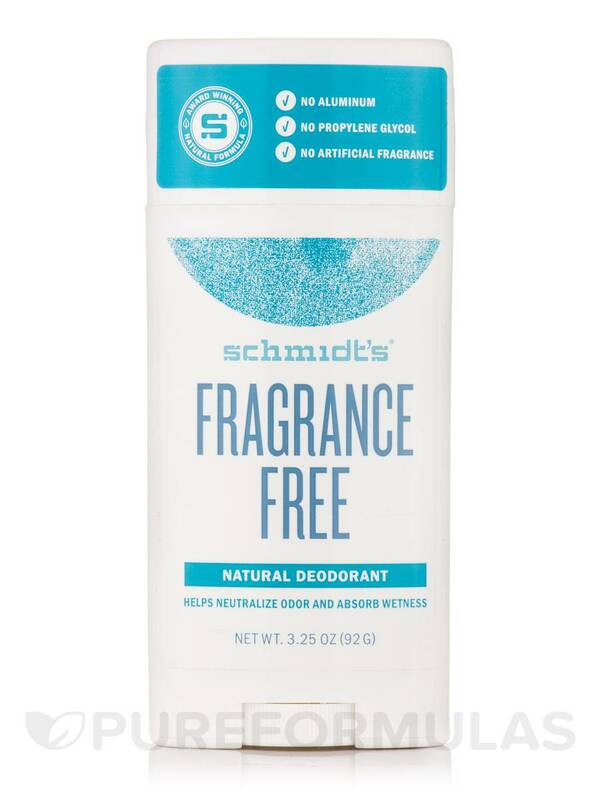 Fragrance-Free Deodorant Stick by Schmidt's Deodorant really works. Best of the best so far. And all natural ingredients. 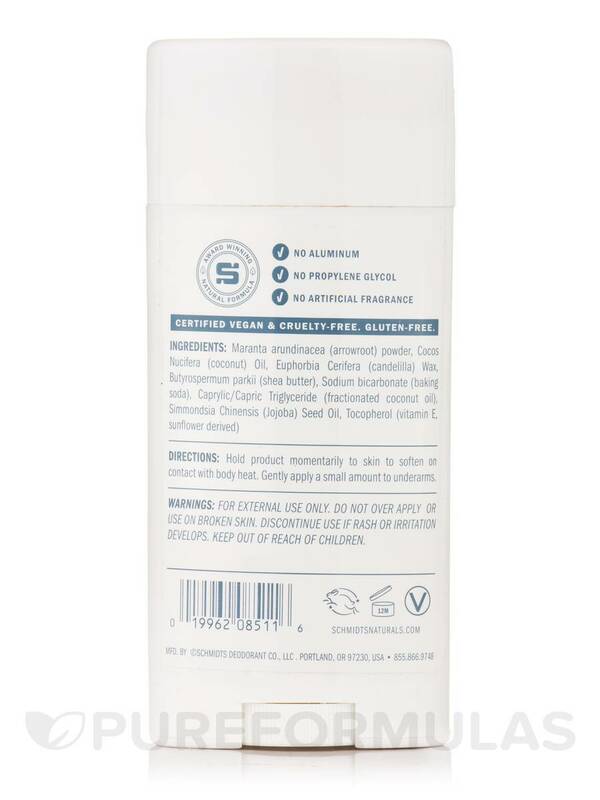 Love Fragrance-Free Natural Deodorant Stick by Schmidt's Deodorant. Works well even in hot weather and has a light pleasant smell. all natural ingredients and no aluminum. Maranta arundinacea (arrowroot) powder‚ Cocos Nucifera (coconut) Oil‚ Euphorbia Cerifera (candelilla) Wax‚ Butyrospermum parkii (shea butter)‚ Sodium bicarbonate (baking soda)‚ Caprylic/Capric Triglyceride (fractionated coconut oil)‚ Tocopherol (vitamin E‚ sunflower derived). I loved having a fragrance free option when I visit clinics where no fragrances are allowed. I also appreciate that Fragrance-Free Deodorant Stick by Schmidt's Deodorant didn't leave stains even on my white clothes like many natural deodorants do. It seemed to work well for me overall. It broke me out in a horrible rash. Works Well. All natural. Pleasent smell. No aluminum. I have tried another brand of deodorant that didn't contain harsh chemicals but it didn't help with odor. This Fragrance-Free Deodorant Stick by Schmidt's Deodorant has been different. I have no odor & it does help some with perspiration. It is a little dry when applied but I put it on after my shower which helps. 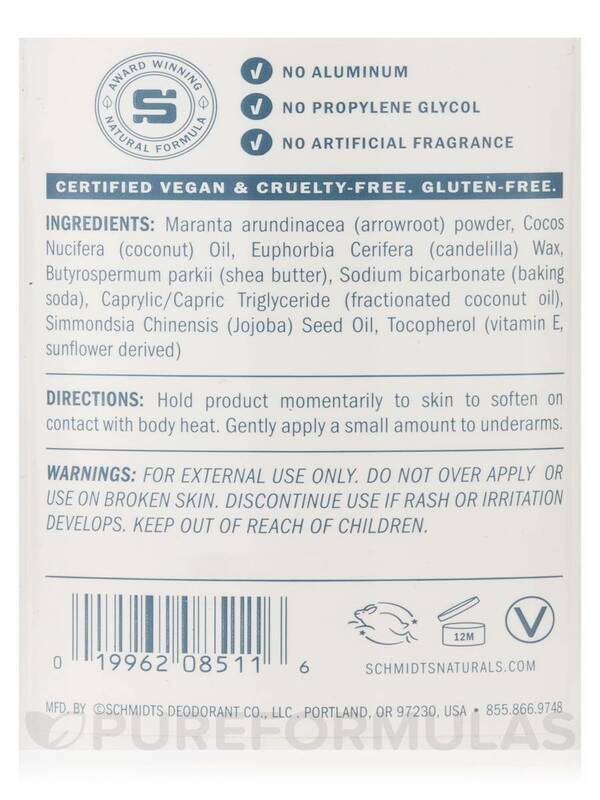 Finding a natural deodorant like Fragrance-Free Deodorant Stick by Schmidt's Deodorant that really works, is great! It does work. Odor control without harsh chemicals. It is so stiff, it is difficult to apply. The consistency I believe could use some improvement. I do wish PF had the sensitive skin option, and I hope they add it to what they carry.